Spiralling, spinning and seemingly weightless, an acrobat suspended beneath a helium balloon explores the uncharted space between street level and rooftops. Using music, lighting and location, the Helio Show creates the illusion of flying to all onlookers. Our aerial dancers can fly out of the sky, steal the sugar lumps from a café-goer’s saucer and swoop from just overhead up to twenty metres in a moment. 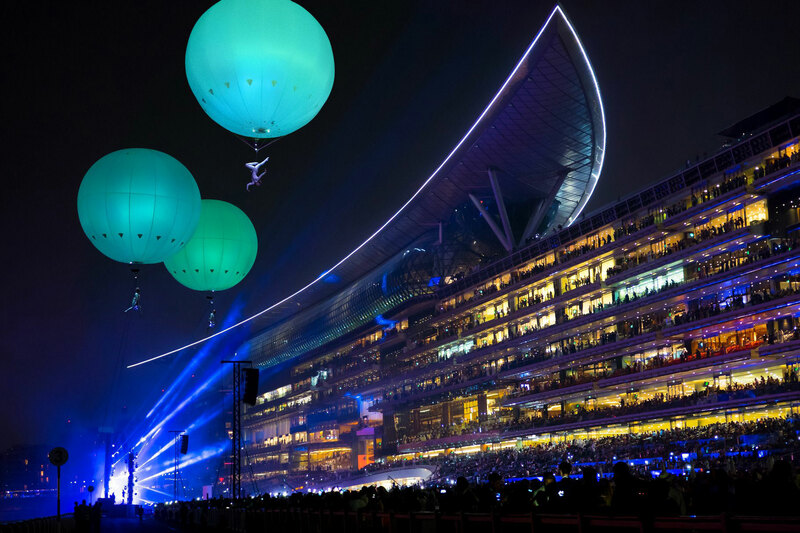 At night the Heliosphere becomes a giant colour changing lantern. First performed in 1998, it has now been performed in 46 countries around the world. "The act is unlike any I've ever seen, everyone was talking about it!"